A stunning bouquet in vibrant oranges, reds and greens this floral gift is a customer favourite and a sure fire winner for any occasion! 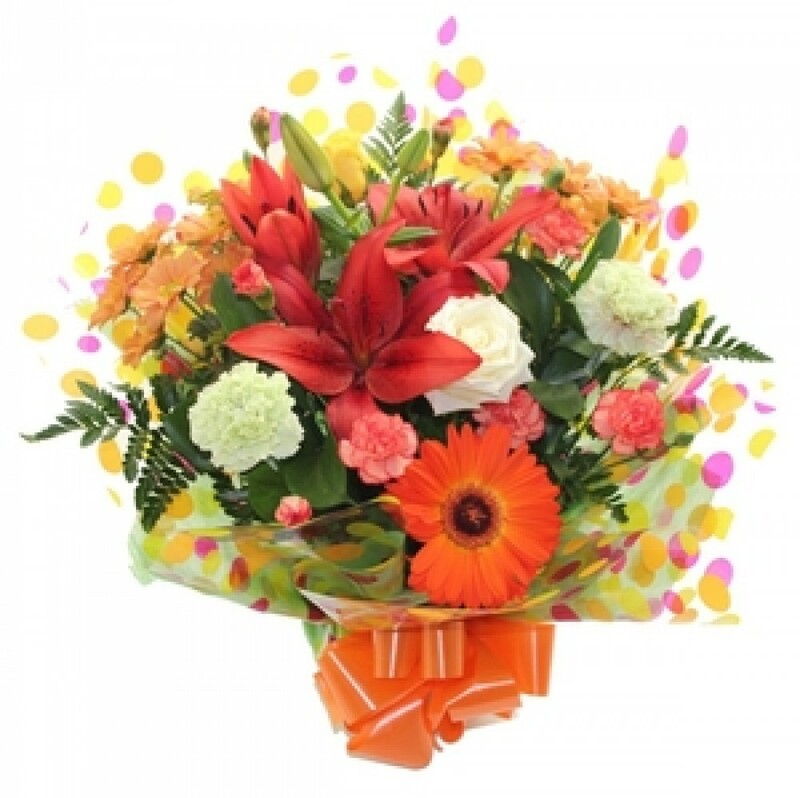 A classic hand tied design prepared by your florist to delight anyone's heart. style choices only and exact content will vary unless specified. it will be presented in complimenting wrapping with a bow. in case they aren't an item of our usual stock.